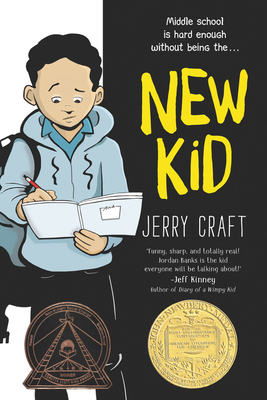 While this graphic novel is about being the new kid in middle school, it is perhaps more importantly about being one of the few minority students in a private school. Jordan loves drawing but his parents want him to have the advantage of strong academics. He processes his experiences through his art and the reader gets to see the world from his perspective - and it is not always pretty... Good story to enjoy and a great discussion starter for all ages.